About a year ago, I started to turn into an oompa loompa. Well, not really - but I did have a lovely orange glow. My hands and fingers looked liked I'd been self tanning without gloves, my stomach had odd orange blotches and the soles of my feet had a lovely orange glow. The doctor told me it wasn't impacting my health, but the orange glow was due to my love of betacarotene filled vegetables - pumpkin, carrots, sweet potatoes, spinach, zucchinis. Sure, I could give up the vitamin A - but seriously those veggies are way too good! Pumpkin is one of my favourite vegetables - I love it in sweet foods, savoury foods, baked, roasted, pureed, sautéed you name it. 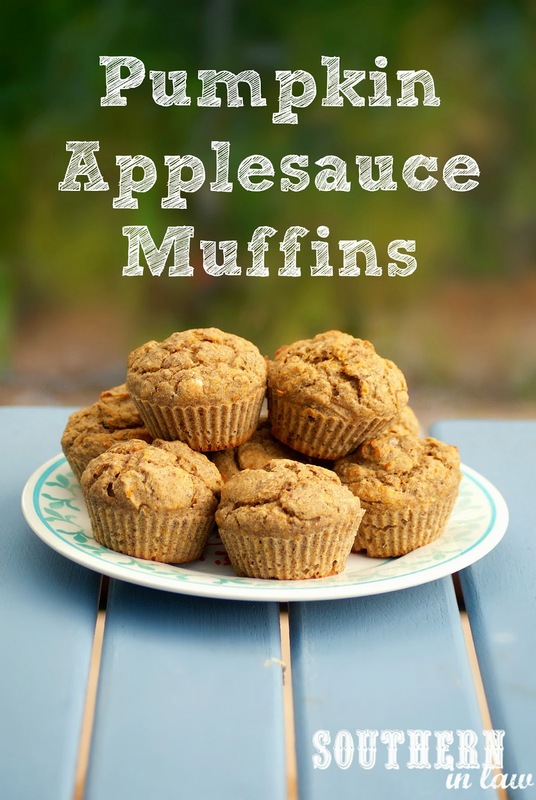 When I first started making pumpkin muffins, my family were grossed out - but Jesse had convinced me to give them a try. Little did I know that I'd soon be roasting 3 pumpkins at a time just to make my own pumpkin puree and searching the web for where to find pumpkin puree in Sydney. Pumpkin season is just beginning in the US and it's already ended here in Australia - but that certainly isn't going to stop me from baking up some pumpkin treats and taking advantage of the year round supply. 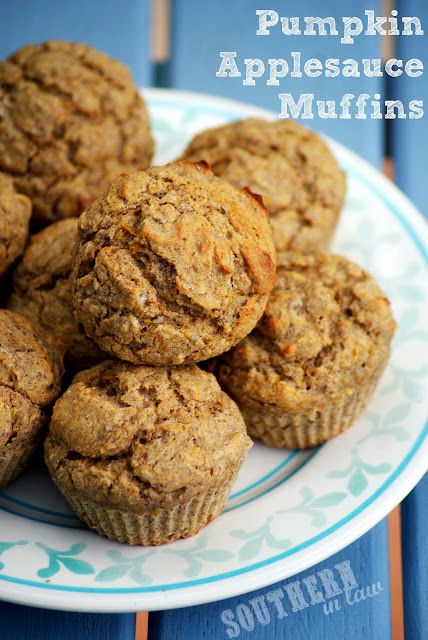 You'll notice these muffins aren't super orange and that's thanks to a pale pumpkin (another sign pumpkin season is over) but the brighter your pumpkin, the brighter the muffins! In a bowl, combine flours, baking powder, baking powder, baking soda, spices and a pinch of salt. Combine your egg choice with the pumpkin puree, applesauce, honey and vanilla. Pour your wet ingredients into your dry ingredients, mixing until just combined. Bake for 10-20 minutes, depending on size, until a skewer removes clean. But tell me, what is your favourite vegetable and how do you like to eat it? I love roasted pumpkin, but I'm also a huge zucchini fan - at the moment we're loving cheesy zucchini boats and stuffed zucchinis. These look wonderful Kristy! Perfect for the Fall! It needs more honey. I used 1 1/2 cups. It finally tasted better. By the way, I love the sugar free recipes. We have been off of our sugar addiction for 10 months. I appreciate all your work. Definitely adapt it to suit your tastes - we don't like things sweet so we only use 1/4 cup - hence why all of our recipes have different options! are they supposed to be super moist? almost like pumpkin pie? Oh no! That's so odd! We've made these dozens of times and they're perfect. What flour/egg/sugar choices did you use? Hi there, if you're used to really sweet baked goods that may have been the problem (if you used 1/4 cup of honey versus 1/2 cup) as it is quite a low sugar recipe. Mixed spice also has cinnamon which adds a lot of flavour. Is it just 3/4 flour of choice or 3/4 plain flour and 3/4 flour of choice?